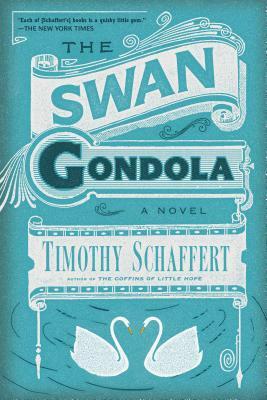 Big congrats today to Timothy Schaffert on the release of his latest novel, The Swan Gondola! The book has received quite a strong reception from critics. Publishers Weekly said “it’s easy to imagine this charming novel attaining Water for Elephants–like popularity with readers,” which is quite an endorsement. The Omaha World-Herald has more on the book here and here, along with information on various local events this weekend to celebrate its publication. It’s nice to see a Nebraska writer realize such success–particularly with a historical novel set in Omaha. It’s especially fitting for Timothy, as he does quite a lot to advocate for Nebraska authors–through his (downtown) Omaha Lit Fest, as interim editor of Prairie Schooner, and in thousands of smaller ways. All this couldn’t be happening for a better guy.